Our social media services company understand the customer need and motivate them with their effective communication skills. The main goal of our marketer is to build a relationship with the customer and provide services with care for creative business. 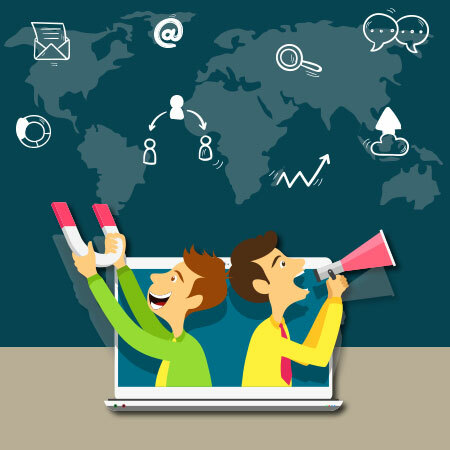 To make social media marketing effective we decide main goals of the business, optimize marketing performance and results, using SEO analytics we find out target audience behavior and their needs, using SEO and social media marketing services in India, we optimize landing page of the website and make it engaging to visitors as well. Social media packages used by our expert team for your brand in social media are planning, listening, action, development, integration, engaging, measuring and profit. What type of Social Media Marketing Service are you looking for? We focus on making unique creative content and building relationship which results in quality and care that we are providing. We being one of the top social media marketing companies perform social profile studies, find out the competition, determine your objectives, choose the proper platform, set particular goals, monitor, measure and revise. Social media marketing agency in India refers to the process of increase website traffic through social media sites such as Facebook, Instagram, Twitter, YouTube, LinkedIn, Whatsapp etc. The goal of this marketing is to make creative and unique content so that it encourages readers to share content, images or video to gain more traffic in social media platform. First of all, we set goals and prepare social media pricing sheet. Then we generate and optimize benefits, combine content and promote it in social media websites. We build relationships which play a major role in social media packages. We use best strategies for successful social media marketing by building brand awareness of your services.